Eastin Hotel Penang won the Bronze Award in the Rakuten Travel Awards 2017 recently. Present to receive the awards was hotel General Manager Justin Chew and Director of Sales and Marketing, Choo Chan Chan. Representing Rakuten Travel was Rakuten Travel Singapore Pte. Ltd – Malaysia Representative Office Branch Manager Fukiko Nakano and Erik Kong, Assistant Manager and Internet Travel Consultant of Rakuten Travel Singapore Pte. 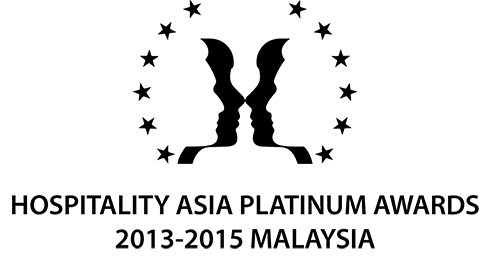 Ltd – Malaysia Representative Office. Rakuten Travel is Japan’s largest online travel site with over 20,000 Japanese hotels and Ryokans. 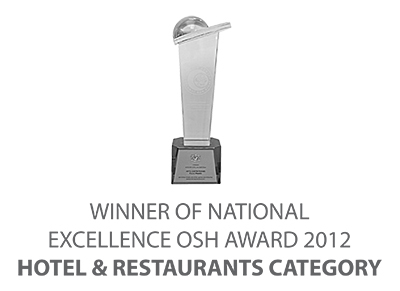 This is the first time that Eastin Hotel Penang has received this prestigious honour. The Bronze Award recognition is based on five criteria which includes: Gross Revenue, Room Nights Sold, Share Ratio, Year over Year Performance and Customer Satisfaction. Rakuten Travel Award winners represent the best hotels that gained high rate of customer satisfaction and achieved remarkable success through their hard work and the Japanese & spirit of omotenashi (hospitality). Established in 2002, Rakuten Travel is Japan’s largest online travel agency (OTA) with over 1.2 billion Rakuten members. About 6 out of 10 Japanese people are Rakuten members. With access to more than 290,000 domestic and 60,000 international hotels. Rakuten Travel provides both leisure and business travellers a variety of accommodations choices to meet all of their travel needs. Rakuten Travel Awards are held annually and are presented to hotels that have demonstrated outstanding performance last year from about 29,000 hotels in Japan and over 60,000 hotels worldwide.